Third time is a charm, right? I think I found the ONE. 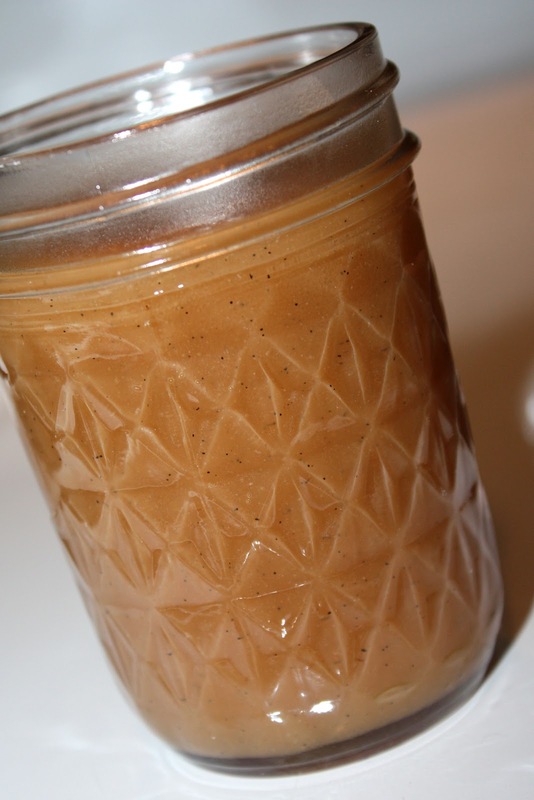 The perfect caramel sauce to pair with my caramel apple cheesecake. I’m sure I could continue trying out different recipes every day for weeks on end, but this one tastes so good I think I’ll stop here. It’s good. 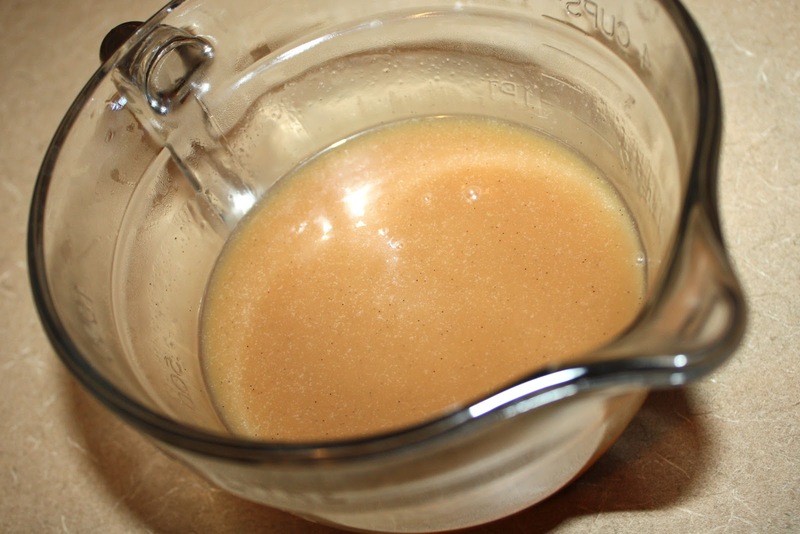 I decided to start with a basic caramel recipe – just sugar, water, and heavy cream. Then to make it a little more dynamic I added a couple tablespoons of butter, some high quality vanilla bean paste I found at Marshall’s a few weeks ago, and sea salt, rather than Kosher salt which I used in my batches yesterday. I also kept the heat on low for this batch. I’m not sure that affected the quality of the caramel or just made me stand there staring at it for that much longer for no reason. Because the temperature was lower to begin with I had a lot harder time when I added the cream and butter. The caramel immediately solidified and it took me a long time (at least twenty minutes) to melt the caramel back up again. The end result is pretty delicious, though. I liked that it was less buttery than the first batch I made yesterday, but it still had enough butter to cream up the texture. Regular vanilla could certainly be used instead of the paste, but I figured since I had it I might as well use it. Plus, I just like seeing those tiny vanilla seeds floating in my food. And sea salt is a must. I don’t know what I was thinking using regular salt yesterday. I love sea salt and use it in everything I possibly can. Yum. Try this caramel! It is so worth your time. I was sneaking spoonfuls of it all day. And yes, I literally drank some from the pitcher when my ice cream was gone and I wasn’t ready to stop eating. Good stuff. 1. In a small saucepan combine water and sugar on a low to medium heat. Stir gently until sugar is completely dissolved. 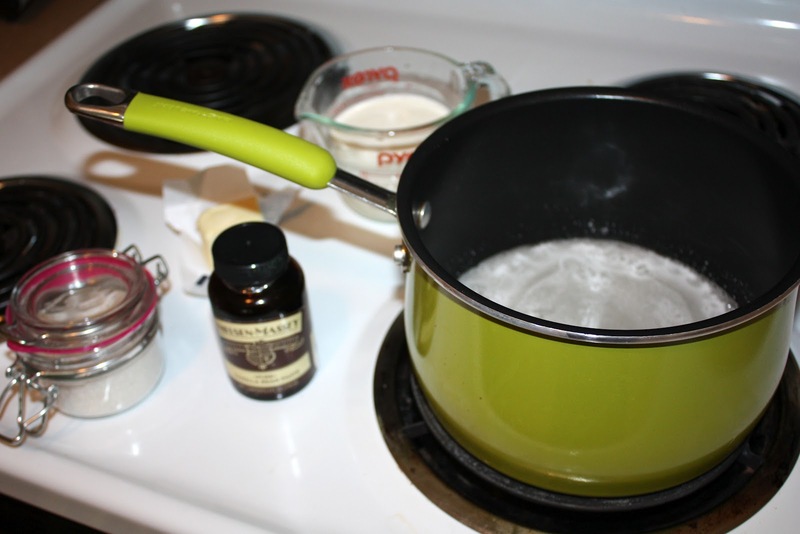 Once the sugar is dissolved, turn the heat up to medium and allow the mixture to boil. DO NOT STIR. 2. Let the sugar mixture simmer on the stove, gently shaking the pan every few minutes. Watch carefully once it starts turning into a golden color. 3. When the mixture is dark amber, take off the burner and immediately stir in butter. Then stir in heavy cream. If the caramel gets hard, put it back on the burner and continue stirring. Add vanilla paste and sea salt, stir. 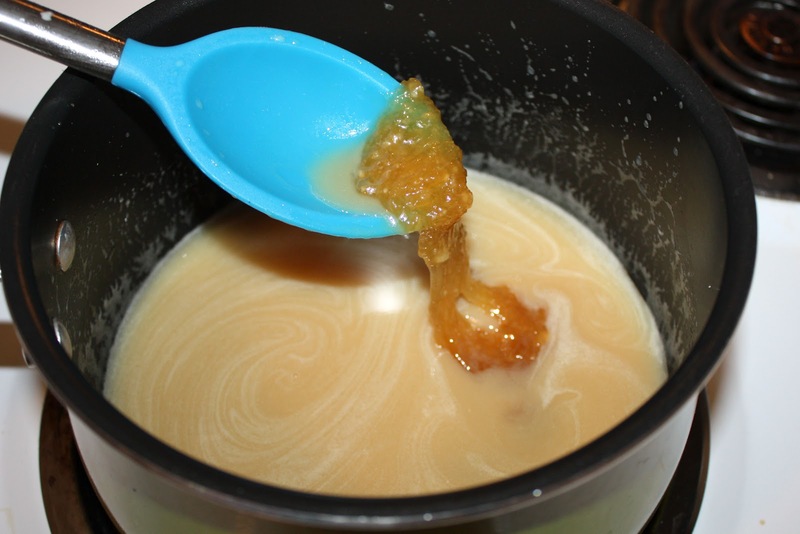 Strain caramel to get out any remaining chunks.